Emmanuel Plasson will participate in Artistic Advisor from 02/01/19 through 05/31/19 (Hawaii Opera Theater). 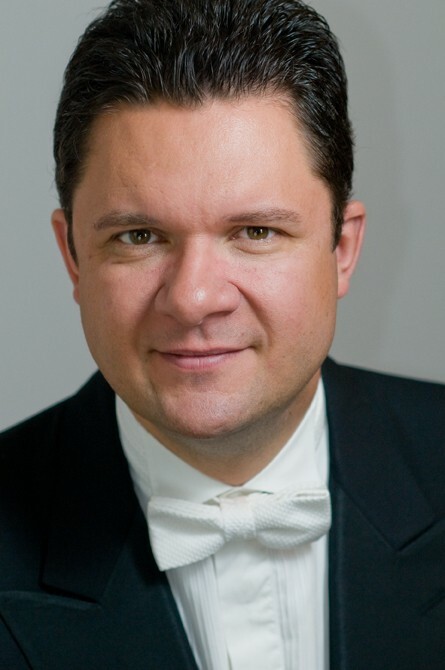 Emmanuel Plasson has established himself as a leading ambassador for French music through his remarkable international career spanning both the symphonic and operatic worlds. He previoulsy served as Music Director of the Opera Company of Middlebury (Vermont), where he conducted Thais, Turandot, L’Italiana in Algeri, La Traviata, La Rondine, and Eugene Onegin, He made his North American debut conducting the Royal Ballet Covent Garden on tour, including performances at the Metropolitan Opera House in New York. This resulted in an invitation to join the Metropolitan Opera as an Assistant Conductor for productions of Manon and Carmen. He was a frequent guest of the New York City Opera, where he conducted Chabrier’s L’étoile, Bizet’s Les Pêcheurs de Perles and Offenbach’s La Perichole. His success with the company led to appearances elsewhere in the U.S.A., including Massenet's Manon at Dallas Opera, Faust and Il Barbiere di Siviglia at Minnesota Opera, Lucie di Lammermoor (French version) at Boston Lyric Opera, Les Pêcheurs de Perles and Faust for Tulsa Opera,. Faust at Orlando Opera, double bill with Mozart's Schauschpieldirektor and Donizetti's Viva la mamma at Wolftrap. Roméo et Juliette (Gounod) and Cendrillon for Kentucky Opera, Les Contes d’Hoffmann for Opéra de Toulon and Cincinnati Opera, and Carmen and Samson et Dalila for Opera Birmingham. In Canada, he has conducted Lakmé and Faust for Opéra de Montréal. Notable European opera conducting engagements include Lucia di Lamermoor at the Teatro Massimo Bellini de Catania, Werther for the Royal Swedish Opera, Les Contes d’Hoffman and La fille du régiment for the Hamburg State Opera, Faust for Théâtre du Capitole de Toulouse, Falstaff at the Théâtre Municipal de Castres (France), Werther at the Royal Danish Opera House, Ravel’s L’enfant et les sortilèges and Stravinsky’s Petrushka for Opera North in Leeds, UK, and L’étoile with the Bergen Philharmonic and Den Nye Opera. In Australasia, he has conducted Manon, Werther, Faust, Orphée aux Enfers and La Traviata for Opera Australia, Carmen for New Zealand Opera and Manon for Melbourne Opera. Notable orchestral engagements in Australia include the Queensland Symphony Orchestra, Western Australian Symphony Orchestra and orchestras of Adelaide and Melbourne, and in Japan, the Tokyo Philharmonic Orchestra and Nagoya Philharmonic Orchestra. He is also a regular guest with the Tokyo National Ballet and the Royal Ballet Covent Garden. In France, he has conducted the Ensemble Orchestral de Paris, Orchestre National du Capitole de Toulouse, Orchestre Régional de Cannes, Orchestre National de Bordeaux, Orchestre de Pau-Pays de Béarn, Orchestre Symphonic et Lyrique de Nancy and several productions with the Grand Théâtre d’Avignon. In northern Europe he has conducted the Brabants Orkest in the Netherlands, Orchestre de la Suisse Romande, Aalborg Symphony, Prague Symphony Orchestra, Nordwestdeutschen Philharmonie, and the Aarhus Symphony Orchestra, Denmark. In Switzerland, he has conducted the St. Gallen Symphony Orchestra and, in Portugal, the Orquestra Sinfónica Portuguesa. Emmanuel Plasson won the Donatella Flick International Conducting Competition in 1994 conducting the Philharmonia Orchestra in London for his UK debut. He has subsequently conducted the BBC Philharmonic Orchestra, BBC National Orchestra of Wales, Royal Scottish National Orchestra, Ulster Orchestra, and BBC Northern Sinfonia.